Over the past seven years I have been fortunate to have attended Art Classes in Parbold Village. Our teacher, Alan Tennant, a renowned water colour artist. About fifteen of us would gather each Monday to be at his lesson which began with a demonstration and continued with each of us working at our own picture. Although I had never had any training in painting, because of the system in the school I attended, I have always had a longing to learn some skill in this field. Sadly Alan Tennant died last November and our lessons have ceased. But his spirit lives on and I hope to continue his message each time I paint. Sister Hilda's involvement with the Parbold Art Class goes back many years. 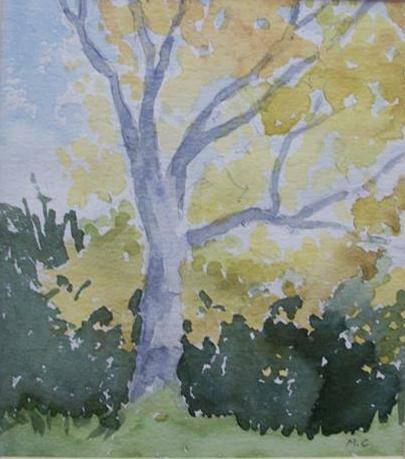 Now over ninety she still enjoys picking up the paint brush and using her creative skills. 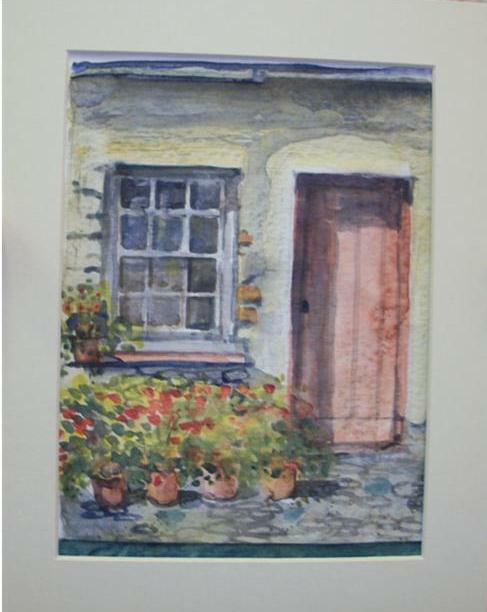 This painting of 'The Dairy' brings back wonderful memories of my home in Kilkenny, Ireland. It stood alongside the 'Potato House' and the 'Chopping House,' across the yard from the kitchen. As a young child it reminded me of a little cottage. I loved its tiled floor, housing milk churns, and all the equipment associated with a dairy. It was my 'special charge,' which often meant I was late for school as I proudly carried out my chores. I really enjoyed painting this picture -- a journey back to happy days!